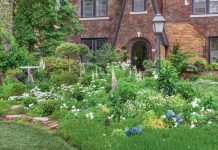 Drawn to nineteenth-century decorative arts, homeowners Donald and Marie tasked designer Kathy Ellis with conveying the sumptuousness of that era in their interiors. 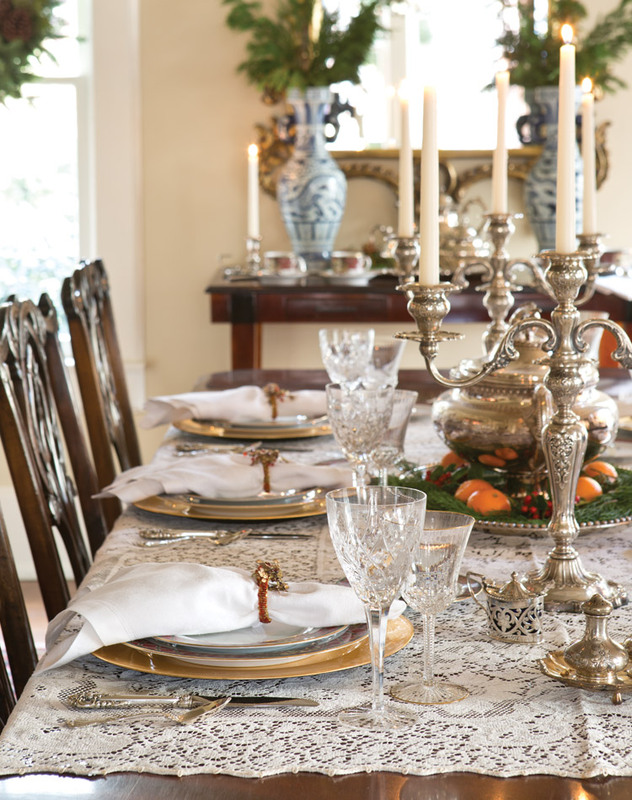 At Yuletide, the couple’s 1923 charmer brims with traditional holiday elegance. 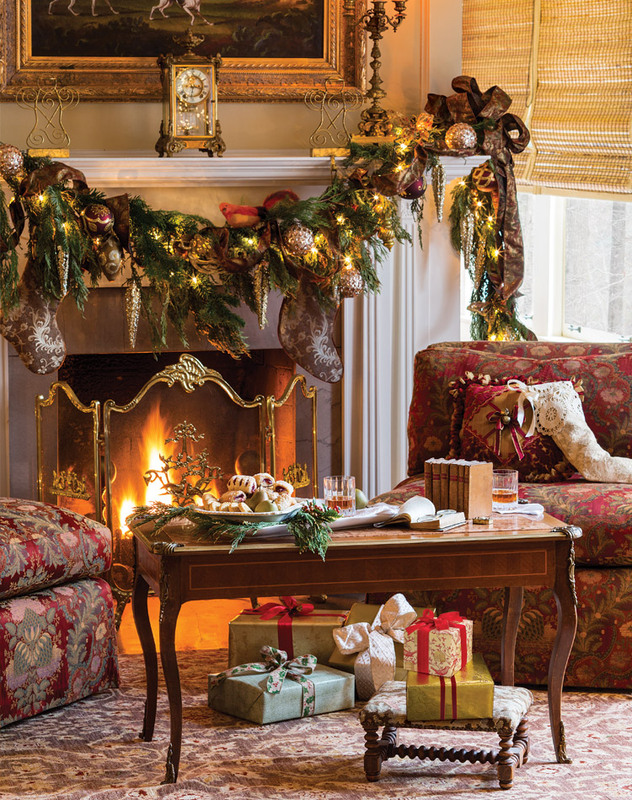 Festooning the hearth is an exuberant garland—its scrolling ribbons, vintage ornaments, and other adornments a fitting complement to the richly hued upholstery and rug. 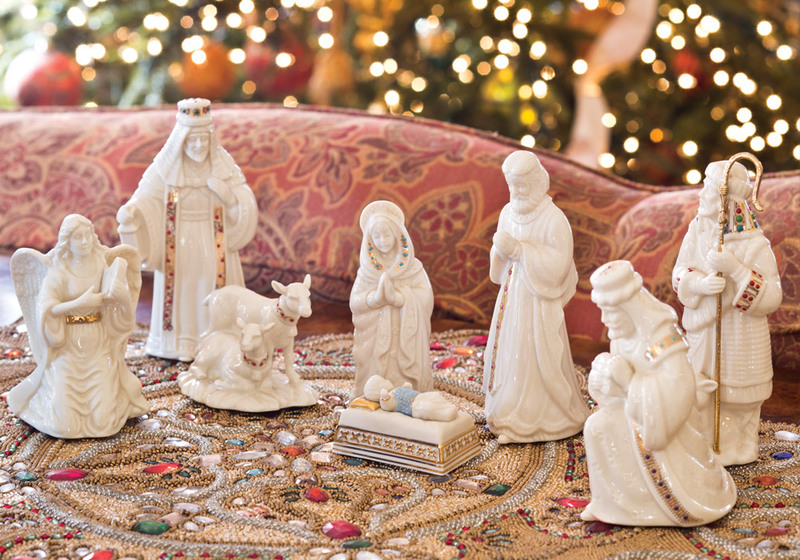 A Lenox China Jewels Nativity scene holds pride of place in the living room. 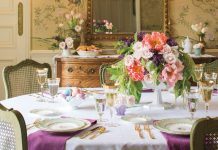 For a sterling centerpiece, Marie favors a circa-1860 silver tureen from Scotland distinguished by a coat of arms, the hallmark of its original owners. 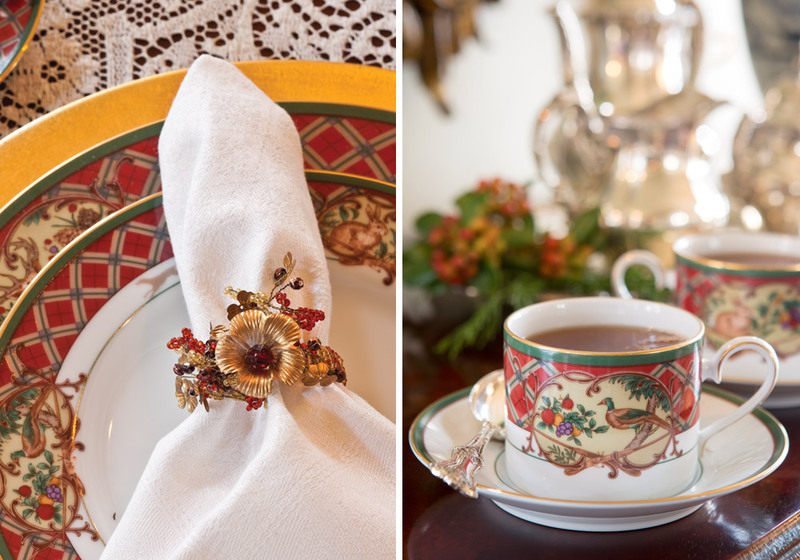 Noritake Royal Hunt sets a festive mood with its plaid band, painted woodland motifs, and gilded edges. 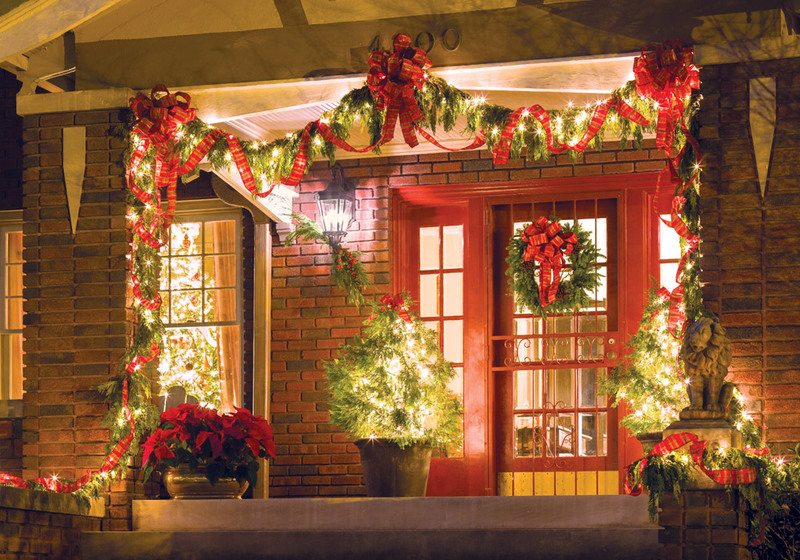 Purchased from a local florist and styled to suit the look of each space, fresh-cut cedar boughs bring natural beauty and fragrance to the front porch. 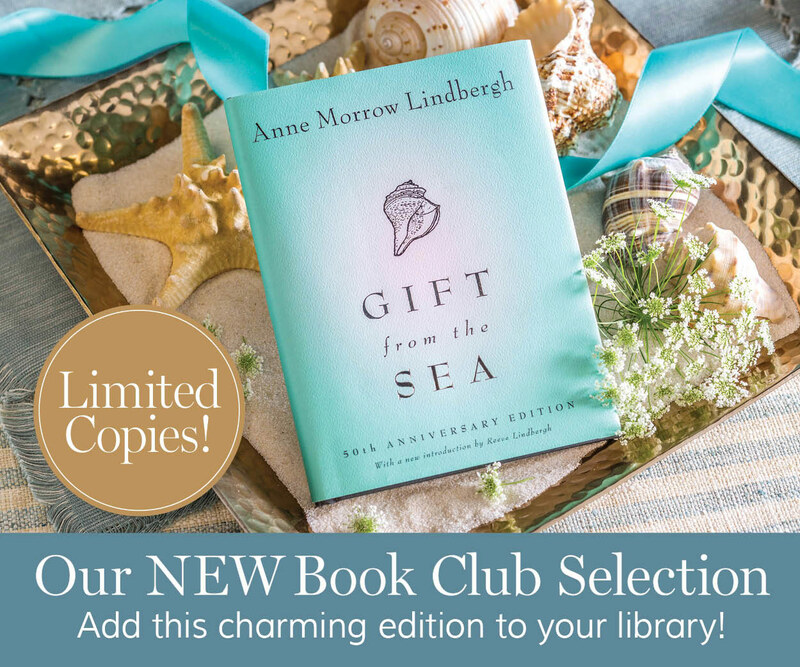 To read more, see “In Grand Victorian Spirit ” on page 57 of the Holiday Bliss 2016 issue of Victoria. Such lovely decor for the Christmas holiday! 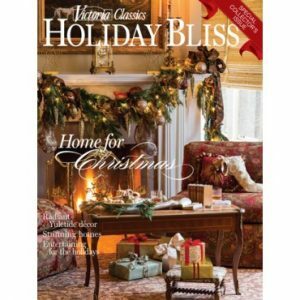 I am so happy with the new Holiday Bliss 2016 issue and ALL of the articles/stories in it. 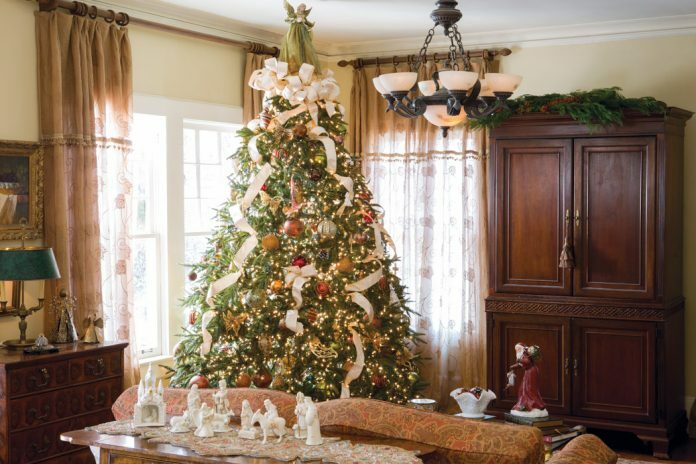 This home in particular is one that evokes so much of the Christmas spirit ! To Phyllis and all of the Victoria editors and staff, I wish you all a wonderful Christmas and a Happy New Year ! 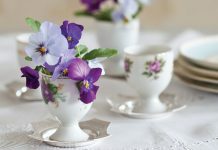 Thanks for making Victoria such a wonderful magazine where we can all escape the world at times and add so much to our daily lives through your feature articles and photographs! Merry Christmas and Happy New Year to all my fellow Victoria fans ! PLEASE E-MAIL ME ABOUT THIS FABULOUS FABRIC AND WHERE I CAN PURCHASE IT! Hi Marsha, if the items are not listed in our resources section, then they are privately owned and not for sale. Sorry!